That’s what my neighbor asked me Friday night, as we were standing in the front yard, enjoying the pleasant evening. In the back of his truck, he showed me a 2×6 with a metal ring recessed into a matching groove. I closely examined the board and the ring and the groove. Then I had to admit, I didn’t have a clue. “Like a nailing plate,” I said. Back at home, we looked it up on the computer (using the patent number) and found it was a Teco Timber Ring. 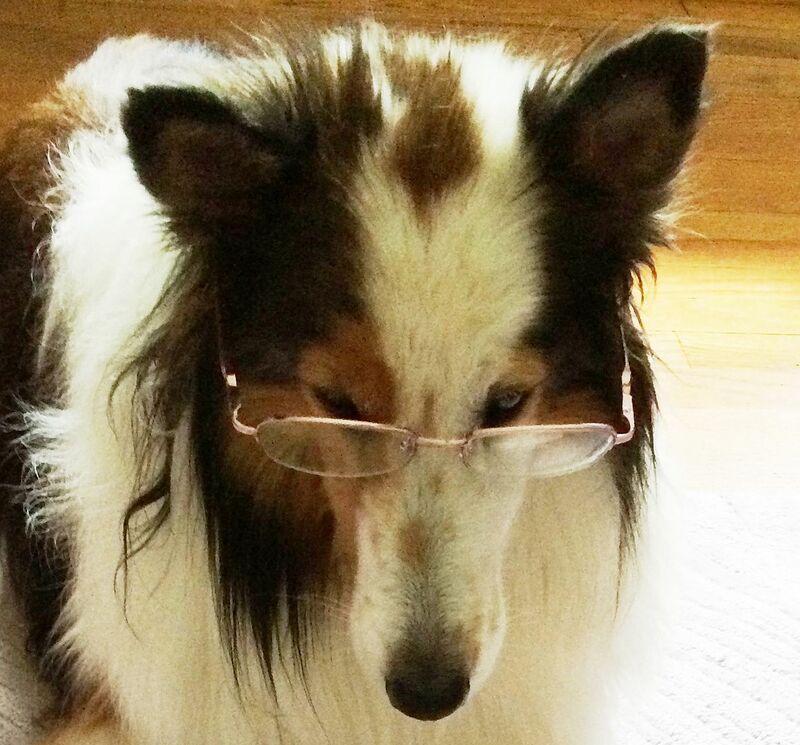 Looking at this curiosity, I got to thinking it might help me solve another riddle. This Teco Ring came from “Bromley” (an adjacent neighborhood). I’ve always wondered, why does Bromely have so many “Levittown houses”? We’ve got more than 75 “Jubilee” models, and they are identical to the houses built in Levittown (NY and PA). 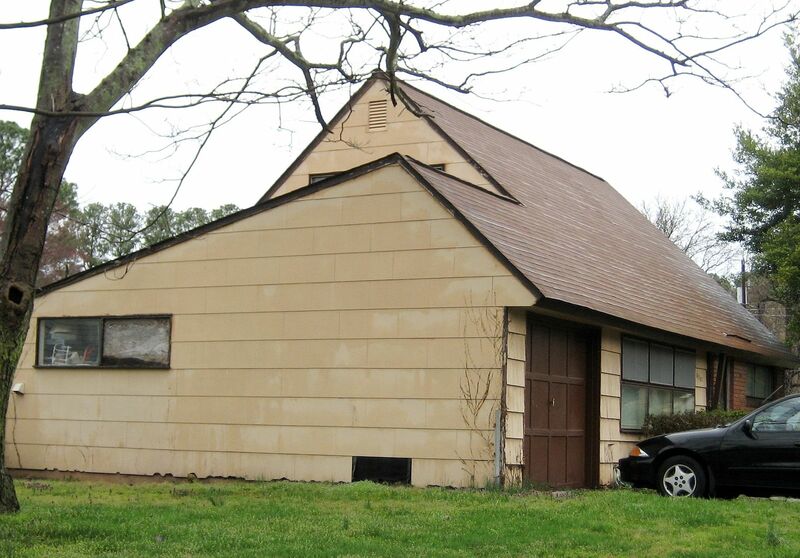 Was there a connection between Bromley and Levitt’s assembly-line-method-of-house-building? Or did someone in Norfolk just “borrow” the Jubilee floorplan and build it en masse? We know that William Levitt (creator and builder of Levittown) had a presence in Norfolk. In the early 1940s, he developed a tract of 750 homes in Norfolk known as “Oakdale Farms” (just off Little Creek Road). According to Second Suburb: Levittown, Pennsylvania (University of Pittsburgh Press, 2010), “Before Oakdale Farms, [the Levitts] undertook a detailed study of prefabrication techniques and erected several test houses. They saw the exigencies of war as ideal circumstances for adopting the practice for the construction mainstream” (p. 136). Are our Norfolk “Jubilees” in Bromley a Levittown product? The discovery of this Teco Timber Coupler adds some intrigue. The house where it came from is not the “Jubilee,” but it’s smack-dab in a neighborhood full of these Levittown-lookalikes. Take a look and the pictures, and if anyone can shed any light on this new mystery, let me know! 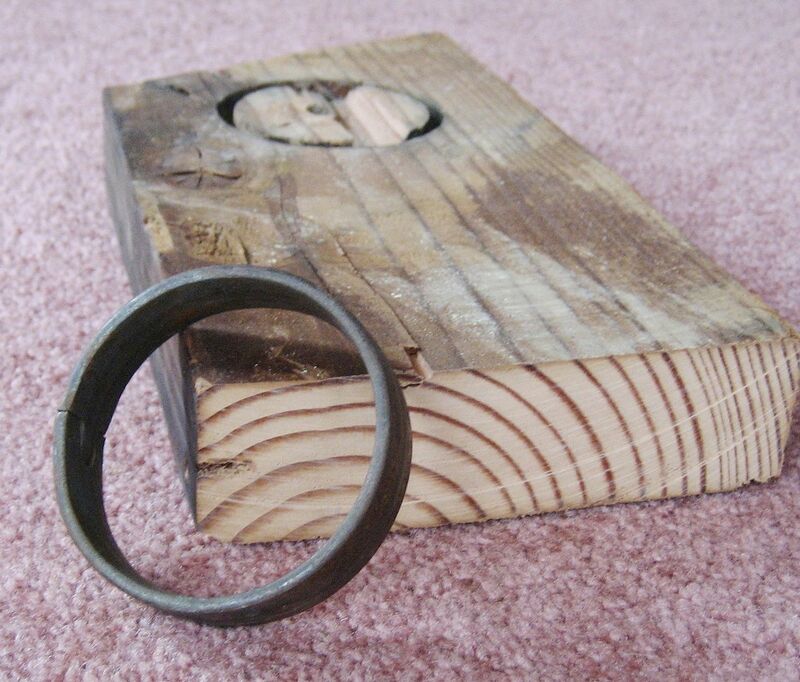 Read more about the Teco Timber Ring here. 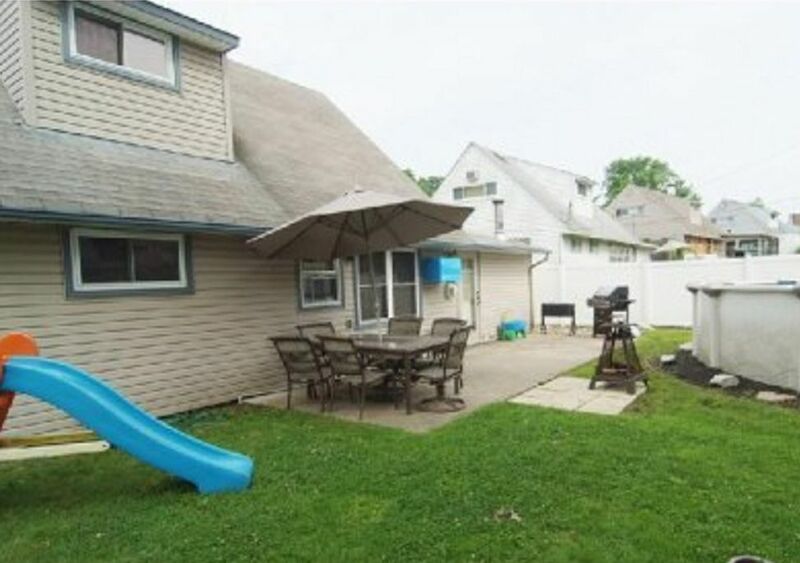 To read an excellent article on Levittown, click here. A final thought: One of the sweetest parts about being the local “expert” is having friends who pull cool stuff out of trash piles and haul it home and show it to you. 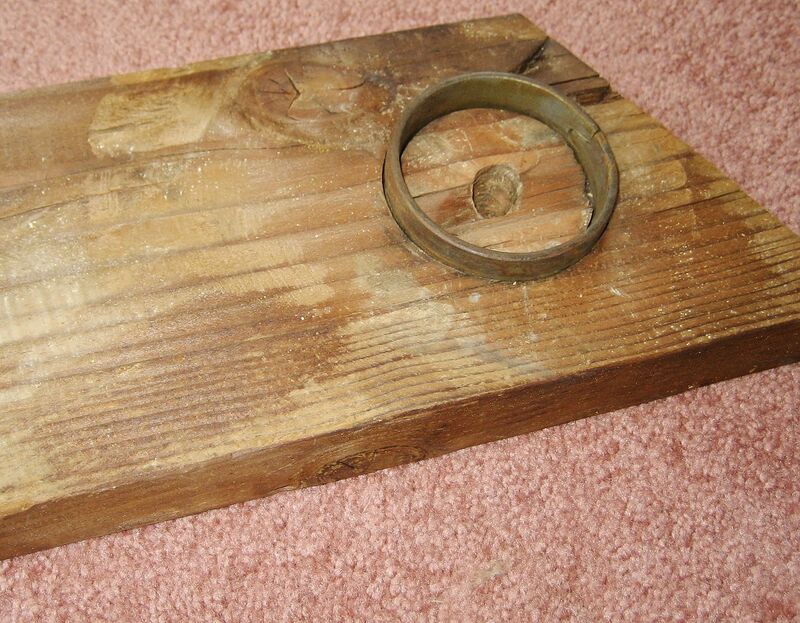 This Teco Timber Ring was found in a house in Bromley (section of Norfolk). It came out of a 1950s house that's been torn down to the studs and is being rebuilt. Curious thing is, it's in a neighborhood full of "Jubilee" Levittown houses. Is there a connection? 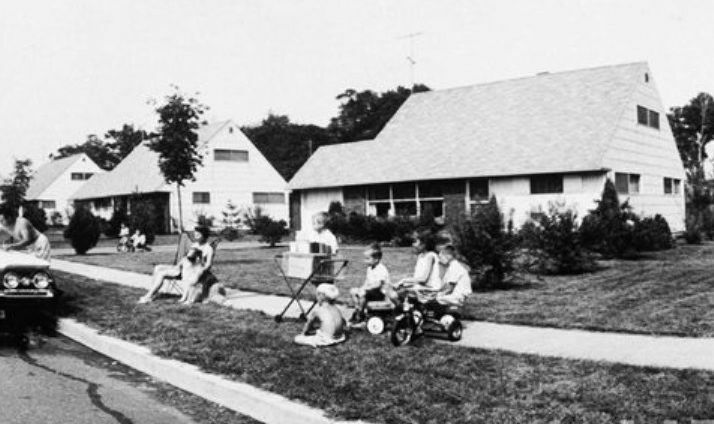 This iconic image from Life Magazine shows the Levittown NY neighborhood in the late 1950s. Now take a good look at the houses in the background. Notice the long thin windows on the 2nd floor? This was the "Jubilee" model found in Levittown NY and PA. Here's a picture of a Levittown Jubilee in New York. See photo credit directly below. The photo above came from a blogger who wrote a terrific piece on Levittown. You can enjoy more of his wonderful images and photos by clicking here. 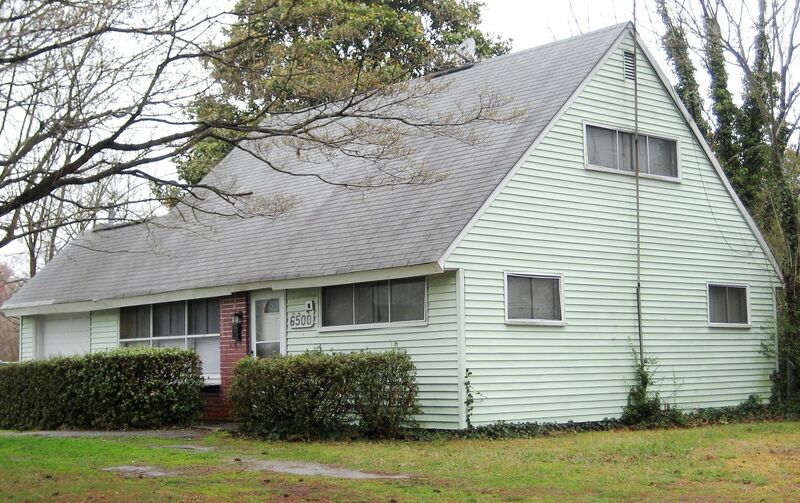 And here's one of our "Jubilees" in Norfolk's Bromley neighborhood. Notice, it even has the same attic vents (in the peak of the gable) as the NY Jubilee. I've not counted yet, but I'd guess we have more than 75 of these models. 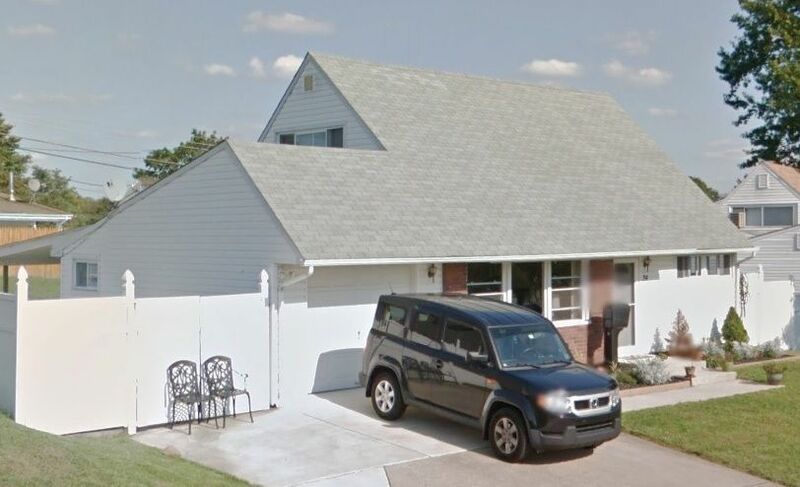 This Jubilee in Levittown, NY (Vermillion Way) is for sale. I'm posting it here because it shows the back side of these houses. The house in the foreground has had some modifications. The white house next door is more original. Just like its Levittown twin, the house in Norfolk has a bathroom dormer (on the rear) that comes off the peak with an off-center window. 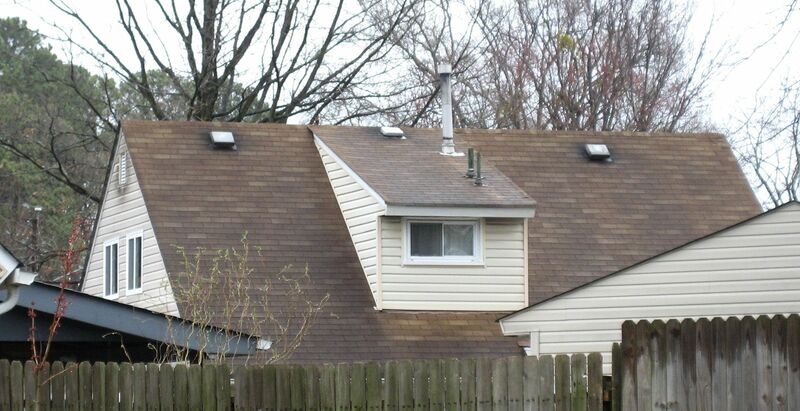 Another curious feature is the different angle on that garage roof. It's a different pitch than the primary roof. 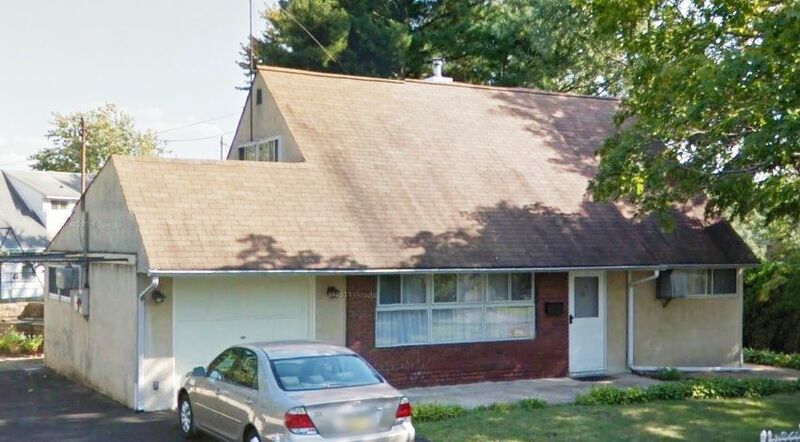 This house is in Levittown, Pennsylvania. Our Jubilees in Norfolk also have this feature (unusually pitched garage roof). This Norfolk Jubilee has its original windows. 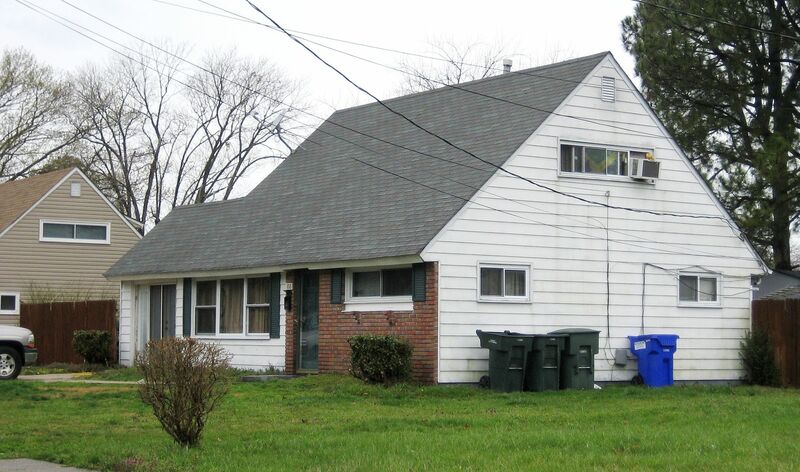 As does this one in Levittown, PA. And they're the same style of window that's present in the Norfolk homes. 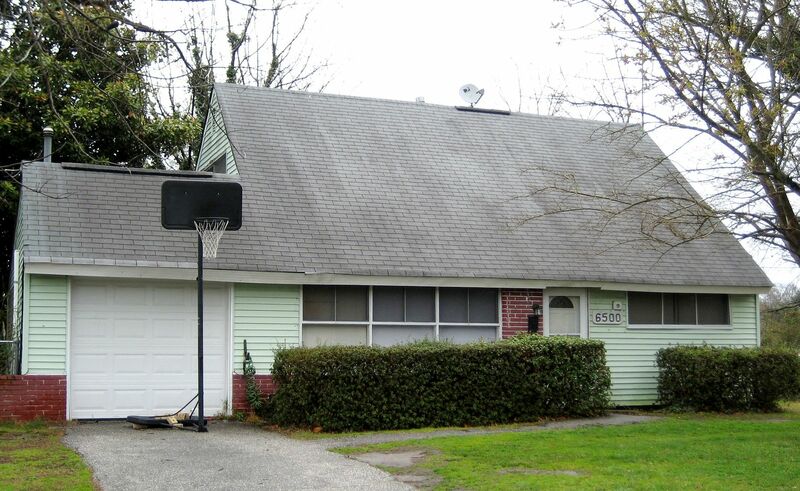 Was Bill Levitt involved in creating our own mini-Levittown here in Norfolk? I’d sure love to know. One things for sure - the houses are a perfect match - down to the windows, vents, and other details. You can read a fun little article about The Jubilee here. 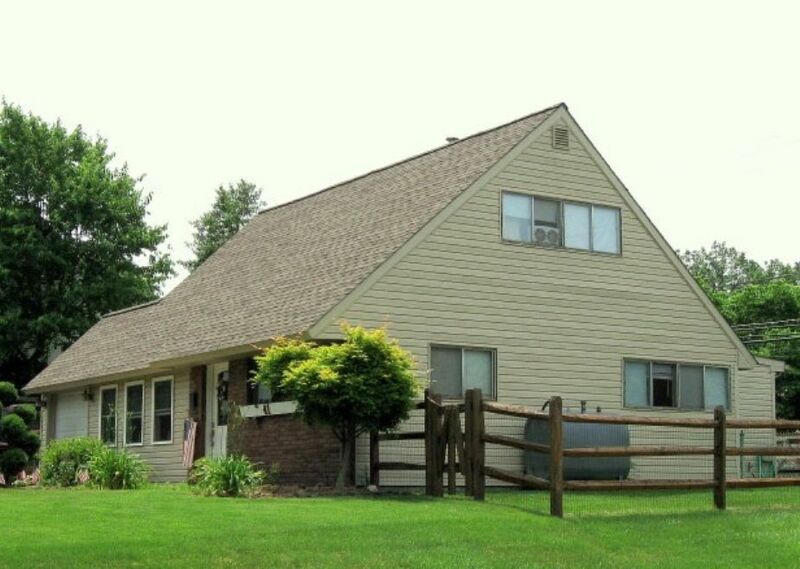 More information on Levittown can be found here.